From Hockomock Sports we share the field hockey playoff info and an article on a Franklin High School football alumni. #18 Franklin (9-7-2) will travel to #15 Westwood (9-6-3) on Thursday, 11/2 at 3:30. "On Saturday afternoon, the Salve Regina University (Newport, R.I.) football team lost its second game of the season, 35-26 to Commonwealth Coast Conference rival Western New England. Even with that defeat, the Seahawks are an impressive 5-2 this fall and just a game back of the league leaders. 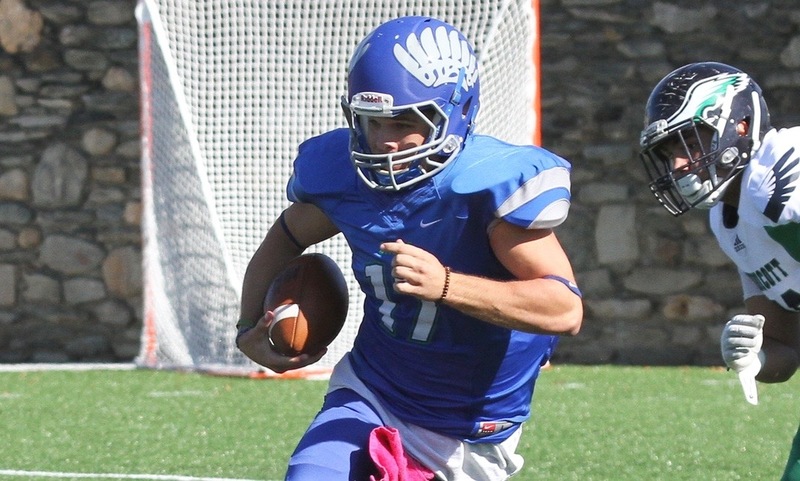 Last week, against rival Endicott, McDermott set a career-high with 321 passing yards and also tossed three touchdowns in a big win. In an interview in the days following the Endicott win, McDermott passed most of the credit onto the play of his teammates."